Western Railway has published Advertisement for below mentioned Posts 2017. Other details like age limit, educational qualification, selection process, application fee and how to apply are given below. Educational Qualification: SSC Pass with 50% marks with ITI. Application Fee: General and OBC candidates should pay Rs. 100/- and there is no fee for SC/ST/PH/Women Candidates. Ahmedabad: Assistant Personnel Officer, For Divisions Railway Manager, Ahmedabad. 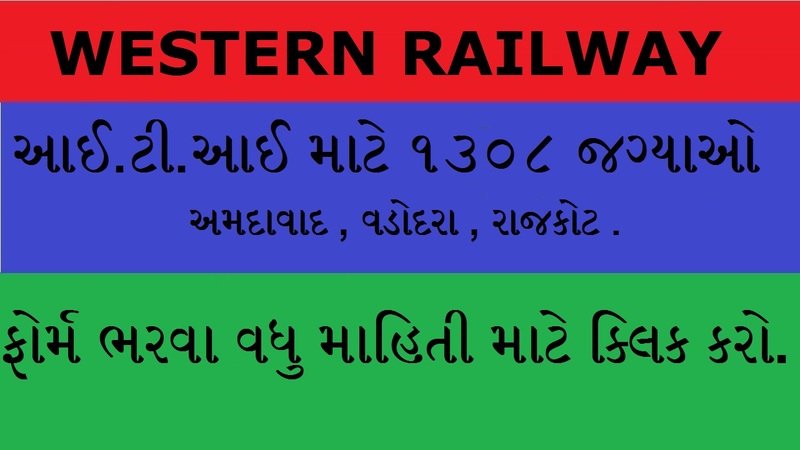 Vadodara: Divisional Railway Manager (E) -BRC, Estt. Electrical Selection, Second Floor, Personnel Department, Pratapnagar, Vadodara – 390004.